Appearance: long leaf, cut leaf, and some medium leaf, too! Our blend intends to bring lots of flavor to the cup! Irish Breakfast tea – the very name makes one thirsty! Hearty, malty, and full of flavour, Irish Breakfast tea is a foundation blend in the black tea family dating back to the late 17th century. 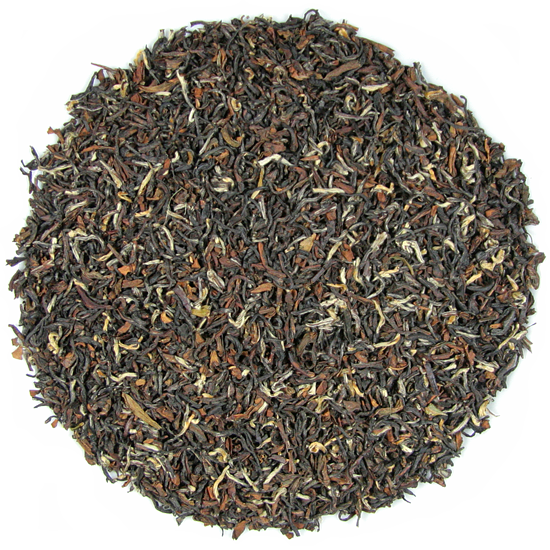 We begin our blending of Irish Breakfast tea with several sturdy Assam teas, and then add to them several of our feisty and forthright Indian and Sri Lanka black teas to craft an Irish Breakfast tea that will stand up to dilution by milk or cream (the ‘usual’ drinking style of our Irish Breakfast customers). 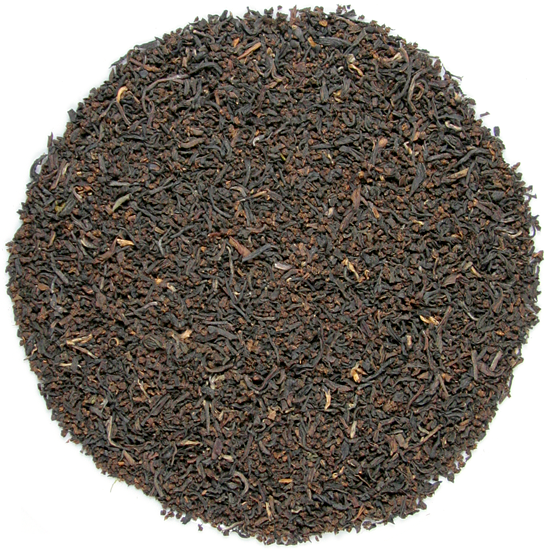 We want our Irish Breakfast tea to be noticeable, full-bodied, and with a deep, malty flavor that satisfies. Perhaps it strives to be the Harp beer of black tea! On a cold winter’s morning nothing takes the chill off as this tea does, but it also excels as a thirst-quenching cold tea with sweetener and lemon.